Solar Knapsack Sprayer is ideal for spraying larger areas in minimum possible time without consuming any fuel. 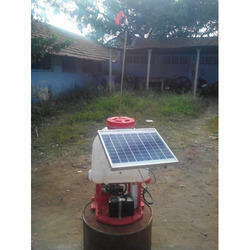 It gets charged from the sun rays and provides relief from continuous pumping. A flick of the switch starts the sprayer. 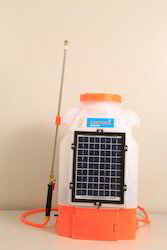 On a single charge the sprayer is capable of working for hours without recharging as it keep charging from the sun light. Owing to the consistent efforts of our dedicated team of professionals, we have been constantly engaged in offering the best quality array of Solar Sprayer. Dreamland Solar Energy Systems Ltd.